These artists created a new visual language that embodies aspects of traditional Chinese art while responding to a time of great transition. 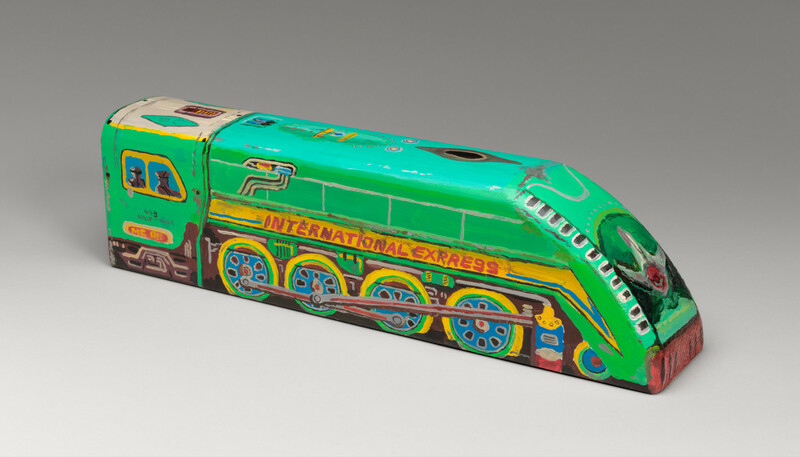 Their artworks express personal beliefs, national pride, and international awareness. Fusion abounds in the art of Wei Dong (b. 1968, Chifeng). He draws from a wide variety of sources, including Ming and Qing landscape painting, socialist realism (the official style of political propaganda under Chairman Mao Zedong), Leonardo da Vinci, Albrecht Dürer, and Jean-Auguste-Dominique Ingres. Socialist realism was a major component of his high school art program, even after the death of Mao, but Wei’s art often subverts the Mao-era agenda. For instance, in Neighbor Girls With Fever a female wearing the blue government tunic appears in a potentially compromising situation. 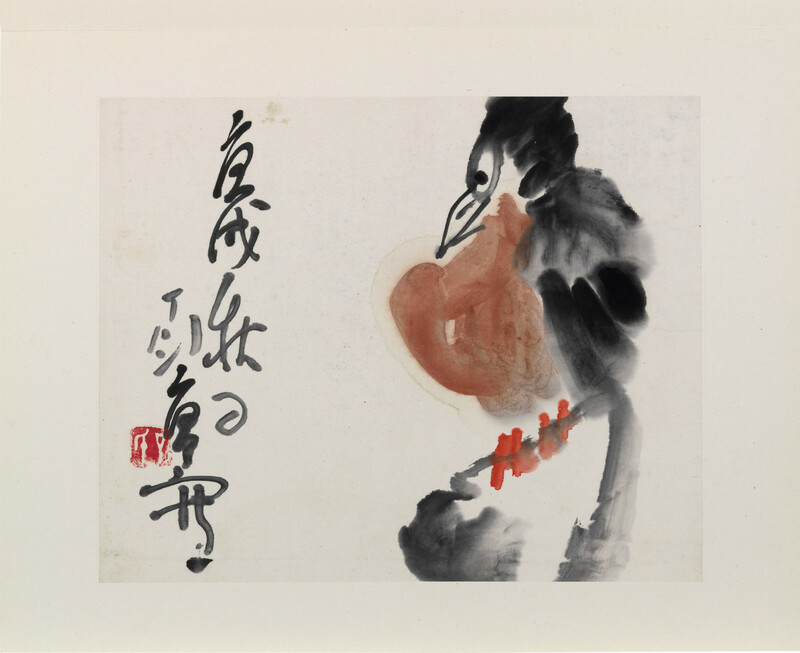 He is passionate about ink painting, which he sees as a critical element of Chinese identity. “Young people in China,” he says, “no one knows how to use ink on paper. It’s terrible. But I think it’s very important. You are Chinese. You must know this.” In this work, hyper-realistic figures are almost jarring against the traditional Chinese landscape on the folding screen. Wei reconciles the figures and landscape as representations of reality and illusion, respectively. 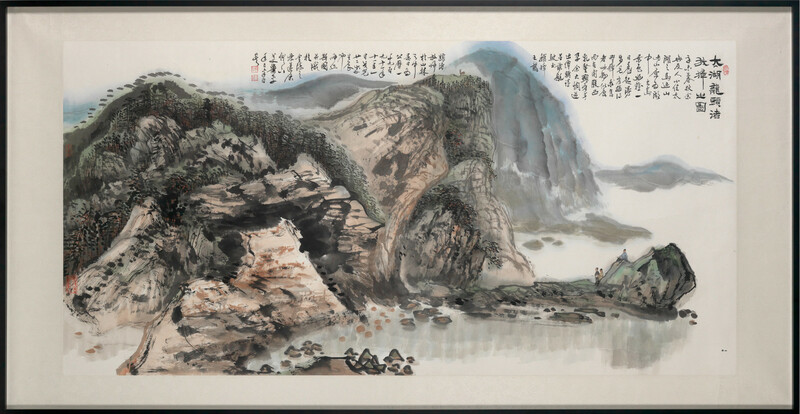 The landscape is not only a source of national pride that is returning to the forefront of Chinese art after the effects of the Cultural Revolution; it is also the serene illusion to which he escapes while painting—his own personal desire. 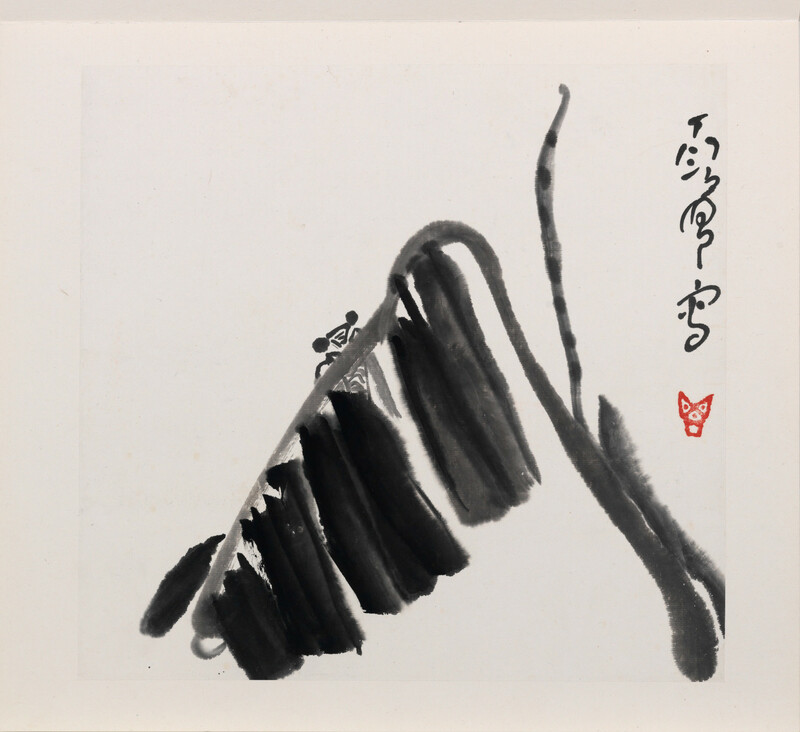 Ding Yanyong (1902–1978, Maopo village) showed promise in painting and calligraphy from a young age. In 1920, he left for Japan to study modern Western art at the Tokyo School of Fine Arts, where he was influenced by the work of Henri Matisse and the Fauves. Ding was also an avid collector of Chinese art. 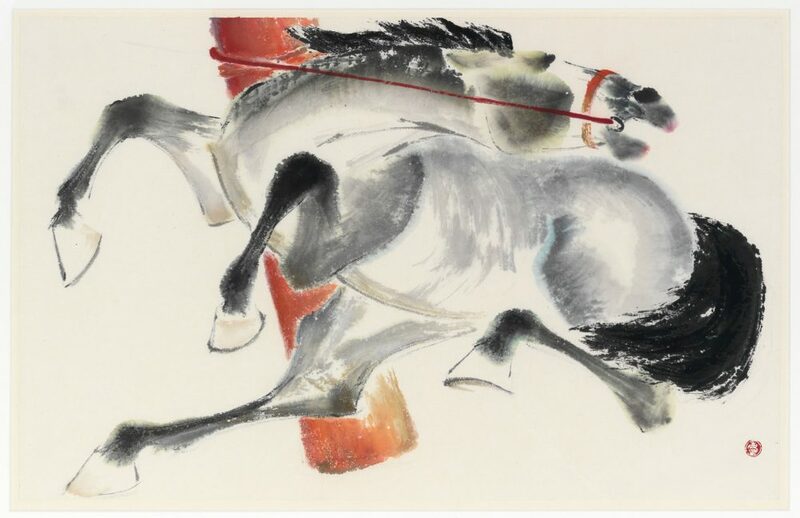 In the 1930s, he returned to a traditional Chinese ink style, for which he was heavily criticized by Chinese artists who saw traditional painting as a dead end. During this period, he was particularly inspired by the seventeenth-century painter Ba Da Shan Ren, who went into self-imposed exile. This association would become even more relevant to Ding. During the Communist takeover in 1949, Ding fled to Hong Kong where he spent the rest of his life, isolated from his family and friends. Despite these circumstances, his artwork was often lighthearted and joyful. Ding prized spontaneity in his art, delighting in innovative brushwork and simplified compositions. Ding inscribed “Painted by Ding Yanyong” on each painting in the album. Qiu Xiaofei (b. 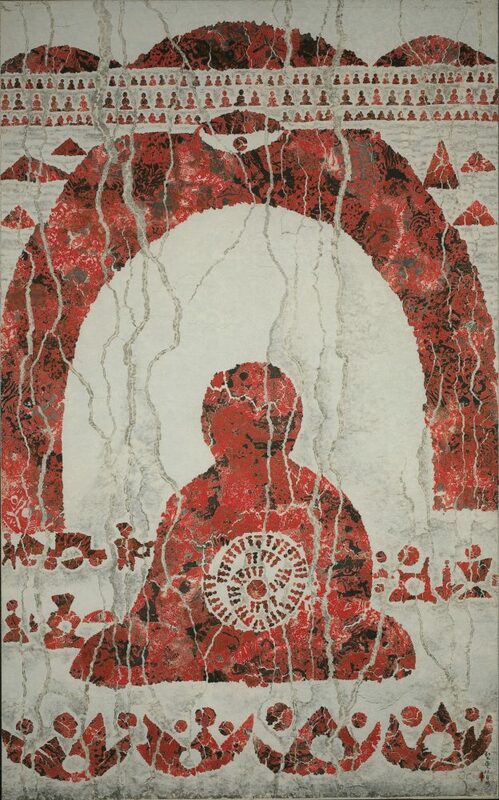 1977, Harbin) graduated in 2002 from the Central Academy of Fine Art in Beijing, where he learned traditional painting. His musician friends later exposed him to contemporary art. 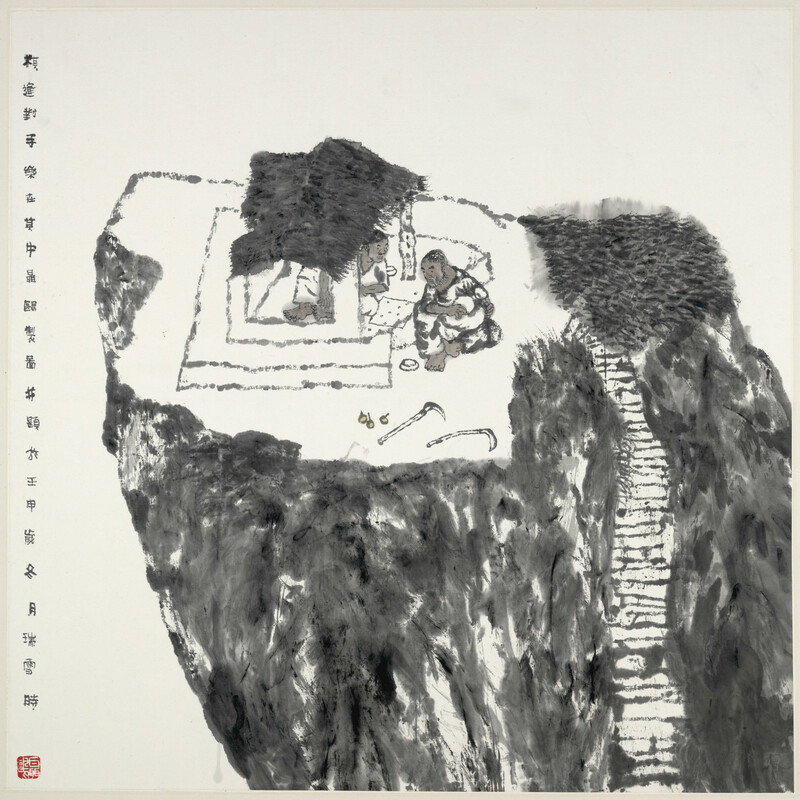 Qiu’s work focuses on memory and history. 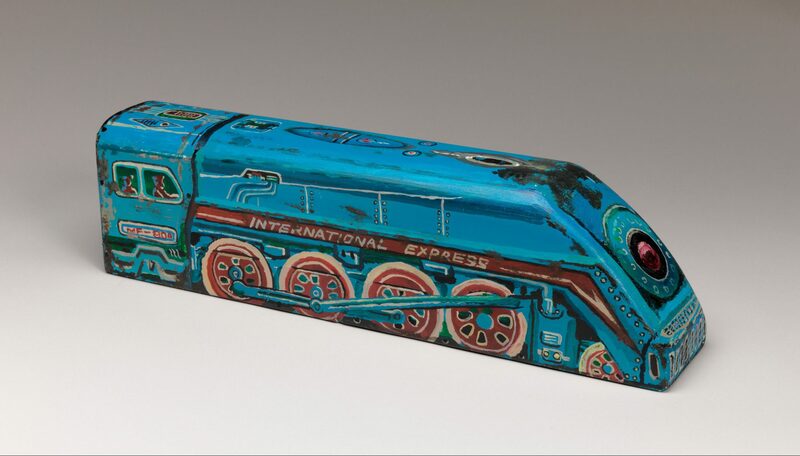 The surfaces of his sculptures emphasize a painterly quality and are thus called “sculpture paintings.” The subject is often a toy or other object from his childhood. Qiu explains, “During the early 2000s, Beijing was developing especially quickly. During that time, I would often paint these things from my childhood, as a way to go back in time. 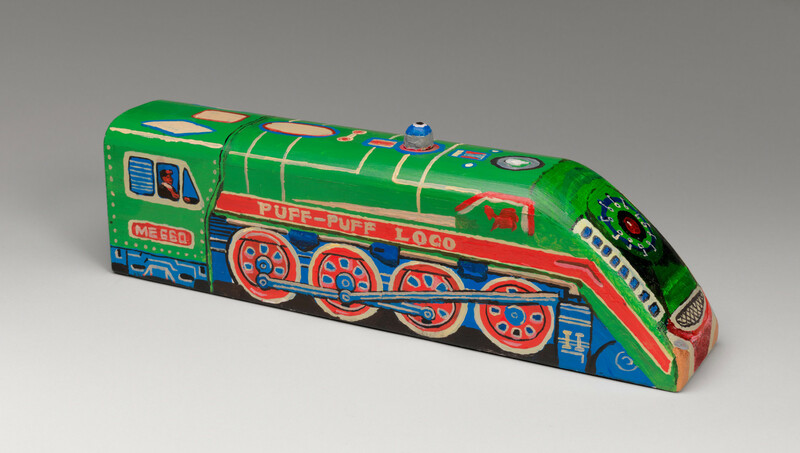 [It was] an act of nostalgia, a way to slow down time.” The three sculptures in our collection depict vintage tin train toys, such as the popular Puff Puff Loco. Nie Ou (b. 1948, Shenyang) encountered Western art at an early age but initially avoided traditional Chinese art. She attended the Beijing Youth Palace, a preparatory school that incorporated Western art into the curriculum. In 1969, she was sent to a small farm in Datong as part of the Cultural Revolution agenda of re-educating urban youth. 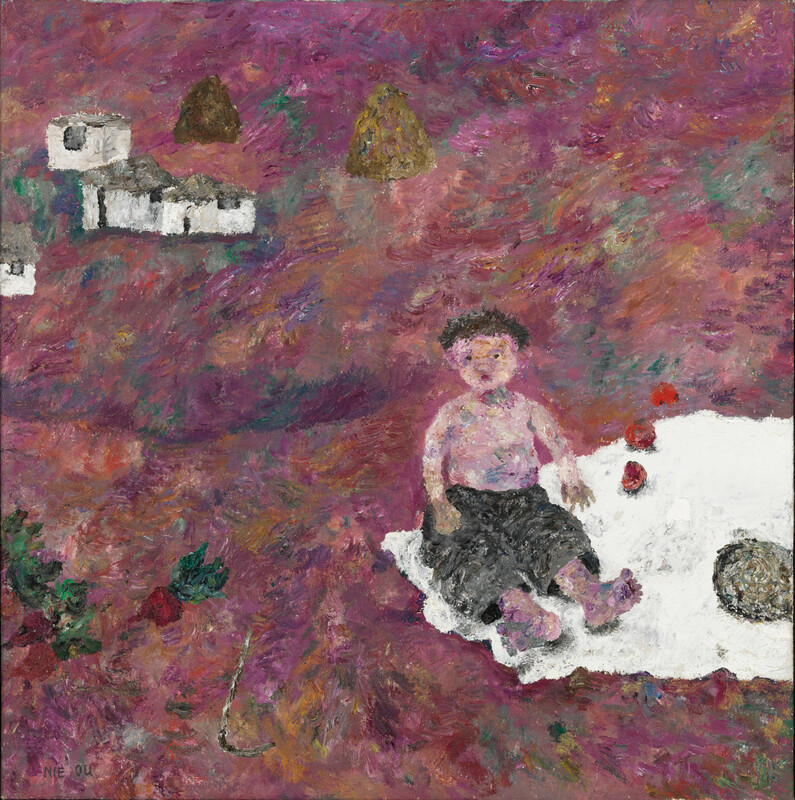 Based on her experiences in Datong, peasant life became a prominent subject in her work. Only after her return to Beijing did Nie express interest in learning Chinese painting techniques. Nie uses an abstract style to merge contemporary peasant figures with traditional ink techniques and landscape elements. 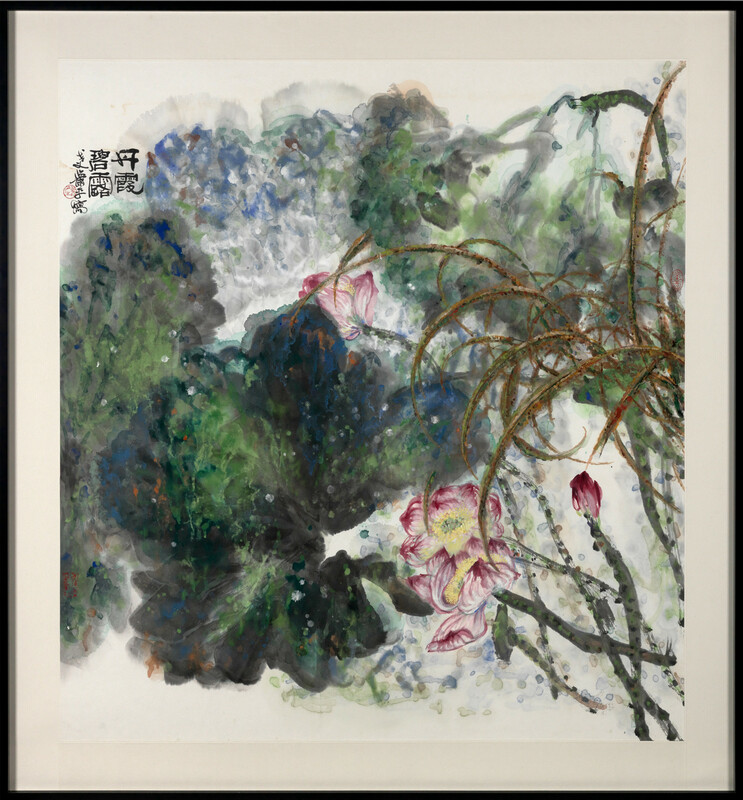 Her oil paintings, such as the two in our collection, contradict the traditional definition of Chinese painting as ink on paper. Zhu Wei (b. 1966, Beijing) preserves his cultural heritage with pride. He says, “I have always tried to use traditional Chinese elements because we have thousands of years of history. From the beginning, I have been trying to show how to modernize the past.” To this effect, he uses xuan paper and fine-brush techniques from traditional ink painting. He updates the convention of stamping work with one’s name to include large, red seals on his paintings with his website and gallery information. 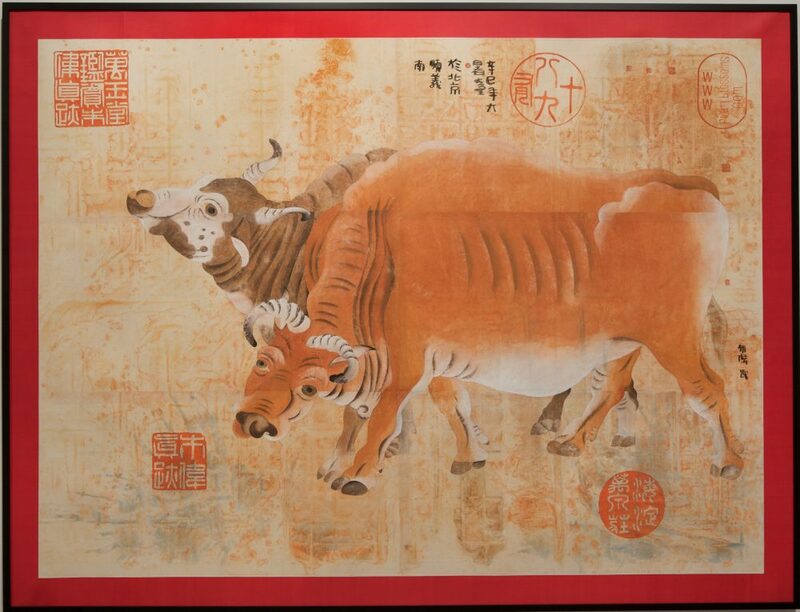 Zhu also modernizes a specific Chinese painting: Han Huang’s (723–787) famous Five Oxen, an exemplar of animal painting from the Tang dynasty. Zhu preserves the expressive eyes from the earlier model, but gives the oxen a greater sense of physical and cultural significance with the vast scale. As a child, Qiu Deshu (b. 1948, Shanghai) studied traditional ink painting and seal carving (carving characters into a small stone, which is then used to stamp a signature or other identifying mark onto a painting). During the Cultural Revolution, he was employed in Shanghai as an art worker. 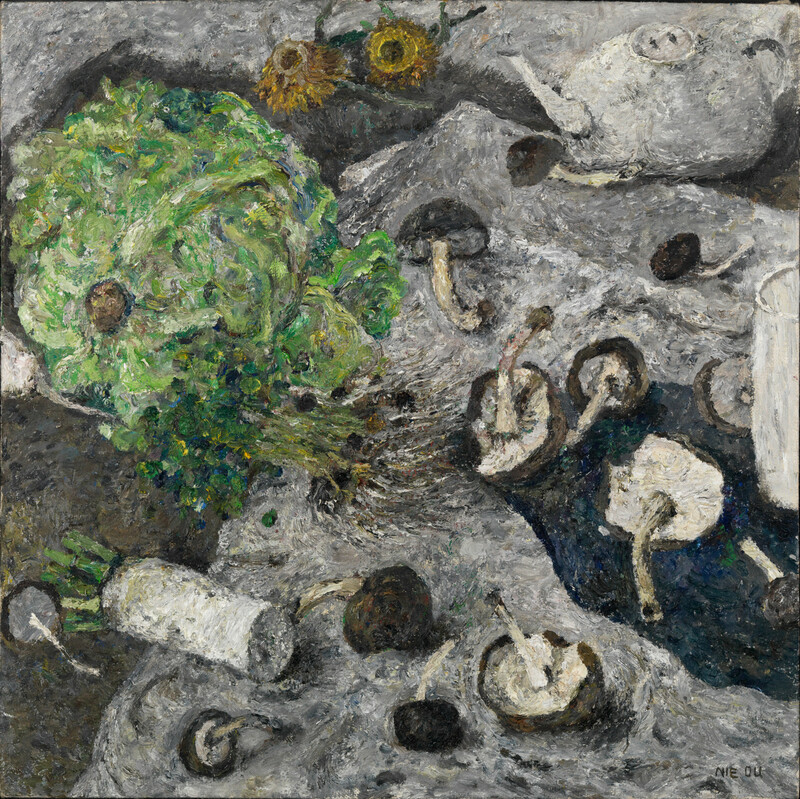 After China instituted its Reform and Opening Policies of 1978, Qiu and other artists were freed from many of the strict restrictions that were previously placed on art. He began experimenting with contemporary ink and wash painting and spent three years trying to develop a contemporary style and theory. In 1982, while taking a walk, Qiu noticed a cracked slab of stone on the ground. He found the cracks “crudely charming and natural, and quite calm.” He began to notice similar cracks in everything from the smallest cell to the composition of the cosmos, and his artistic technique of “fissuring” was born. The technique entails applying paint to a sheet of xuan paper—the traditional medium of ink and wash painting—which he then tears to expose the white canvas beneath. Fissuring allows Qiu to explore traditional ink painting by inverting compositional elements, using the seal style for the full picture plane and the passive medium as an expressive tool. Yu Peng (1955–2014, Taipei) was exposed to art at an early age by his family and visits to the nearby National Palace Museum. He studied a variety of artistic media during high school including ink and oil painting, drawing, and pottery. After travels in Athens and mainland China early in his career, he chose to pursue ink painting. His compositions are often crowded and disproportional, as seen here. Scholars often describe his brushstrokes as unorthodox, childlike, or awkward. Yu cites the influence of zhuo, deliberate awkwardness esteemed by Chinese literati. Taiwanese folk art—especially the theatrical rituals connected with weddings and funerals—has also been a strong influence on his art. Shadow puppet plays have long been a favorite of his as both a spectator and performer. Yu’s interest in popular art and theatricality has a loosening effect on the constraints of traditional ink painting. He also infuses his art with personal experience, suggesting that the “little Yu” here might be self-referential. Yu’s unique style fuses elements of traditional Chinese ink painting, Taiwanese folk art, and contemporary life. Xiao Ping (b. 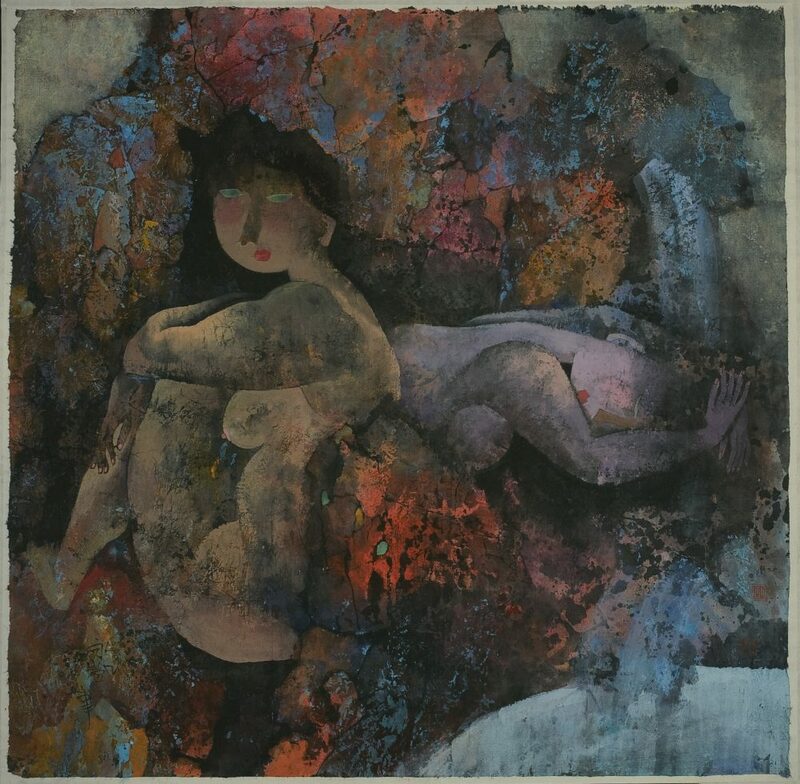 1942, Nanjing) employs traditional techniques and subjects for his landscape, bird-and-flower, and figure paintings. He is also an expert in the techniques and theory of calligraphy. His training in art appraisal adds another dimension to his knowledge of the Chinese artistic tradition. In 1962, he began his career as a researcher and art appraiser for the Palace Museum in Nanjing and has since consulted on ancient Chinese collections in museums all over the world. 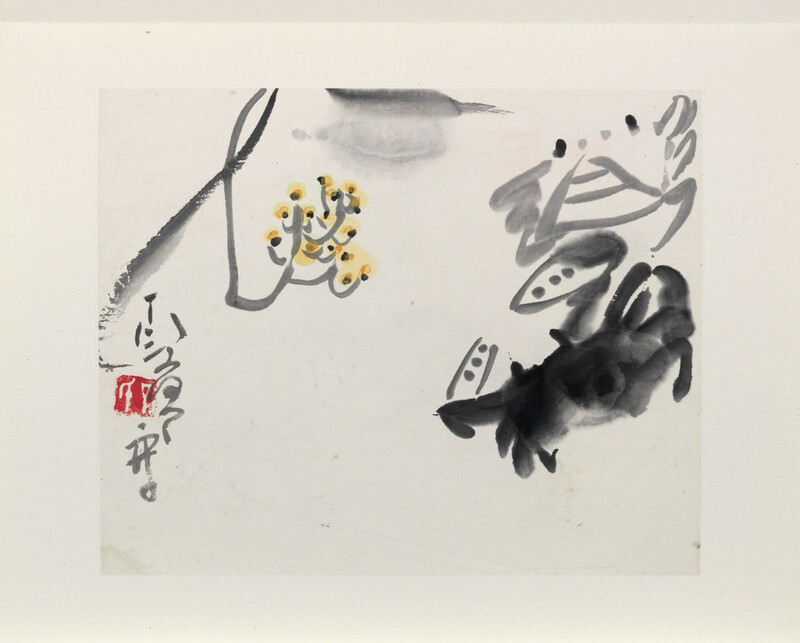 Incorporating different types of brushstrokes for the paintings and script for the calligraphy, the two works in our collection demonstrate Xiao’s technical versatility. Xu Lele (b. 1955, Nanjing) is a member of the School of New Scholar Painting, a group of artists in Jiangsu province dedicated to rediscovering Chinese artistic traditions. Historical texts on Chinese art frequently classified paintings by the social status of the artist. Traditional scholar painting refers to works painted by highly educated and cultivated scholars. 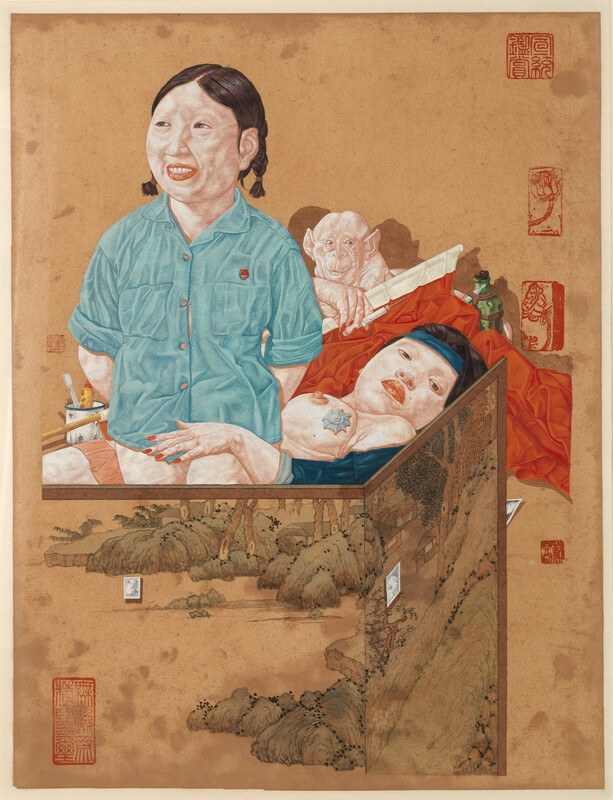 Emerging at a time in the 1980s when Chinese artists were turning away from tradition and moving toward Western art, the New Scholar Painting movement strove to make traditional scholar painting relevant to contemporary times. 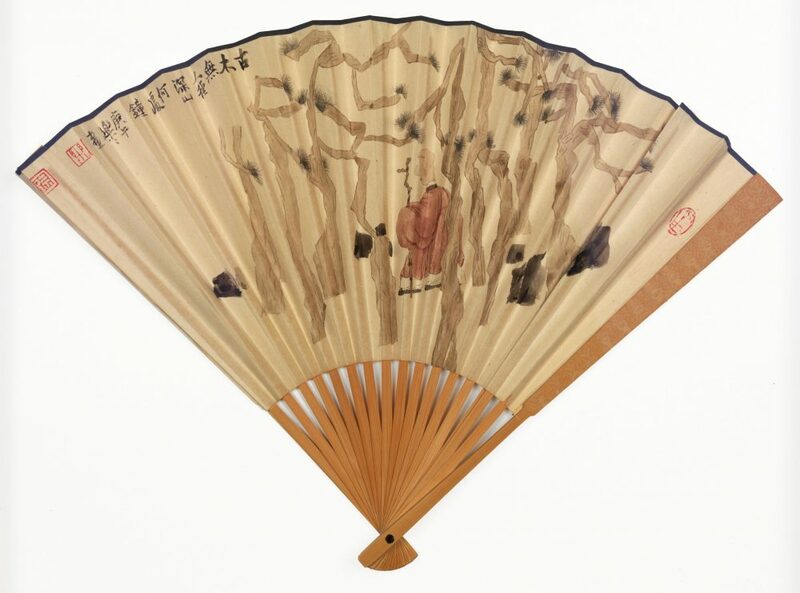 To this end, Xu employs long-established painting techniques and formats such as the painted fan shown here. With her clear, soft touch she depicts ancient scholars and environments while also expressing pleasure in the act of painting and aspects of her daily life. Hu Yongkai (b. 1945, Beijing) learned about Western art as a student at the Central Academy of Fine Arts of Beijing. The program emphasized Western oil painting, and he was drawn to the work of Paul Gauguin and Vincent Van Gogh in particular. During the Cultural Revolution, Hu and his staff at the Shanghai Animation Film Studios were sent to the countryside south of Shanghai. 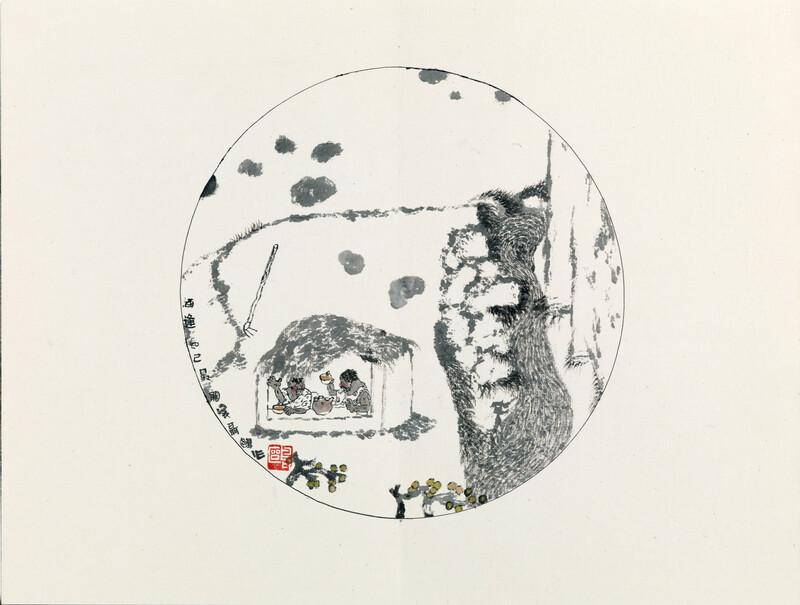 Like Nie Ou and Zeng Shanqing, agrarian life had a profound impact on his art. 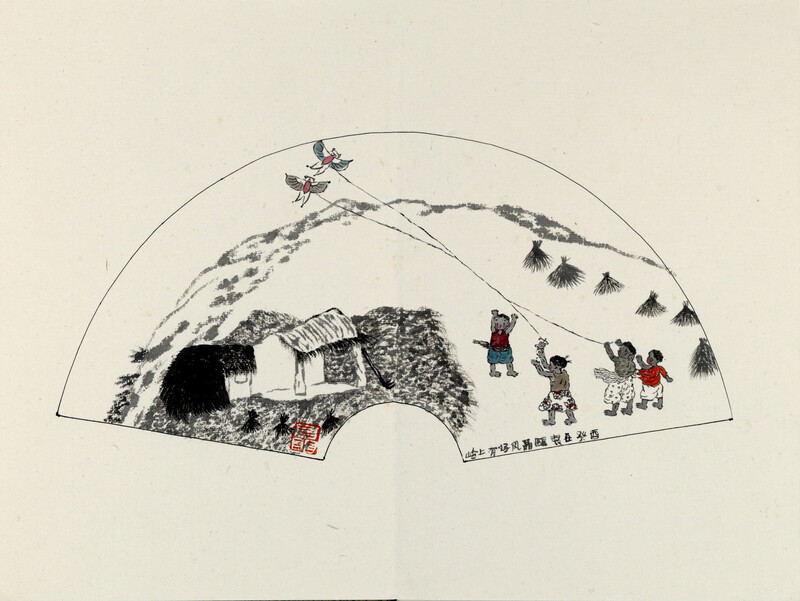 When not performing hard labor, Hu sketched the village people and buildings around him and incorporated these images into his later work. He was inspired by the art of peasants who had no formal training—a departure from the art he studied at the academy. Women at leisure are a prominent subject in his art, as seen here. The architectural and garden settings evoke traditional paintings and historic places. He blends Chinese and Western art, formal training and naïve self-expression, and past and present to create an idyllic world. Special thanks to Gao Shiming, Executive Dean of the School of Intermedia Art, China Academy of Art, who researched the artists. His texts were translated by Jared Hallett, Williams ’14, and Donald Maruyama, Williams ’12, with Li Yu, Associate Professor of Chinese. Thanks also to Rong Zhao, Williams MA ’10, and Patrick Rhine, Williams ’10.